20 weed. The M20 runs from London to Folkestone, connecting with Le Shuttle. Oops. Clock reset to 20. Start again. Sorry! 1 bell. There are many bus number 1s, but my favourite is the one that transfers you from Amersham to Chesham. You missed a trick there! Rule (5) only resets the number of bells to zero, not the number of weed, so you could have legitimately claimed 1,000,000,000,001 weed. 10 bells. 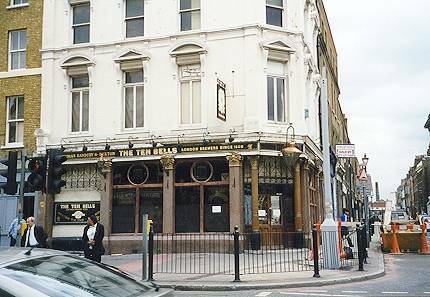 The Ten Bells pub is perhaps the most famous pub in the history of Jack the Ripper. 2.7 trillion and 2 weed. Oh, I'd forgotten about this! 2.7 trillion and 3 weed. I don't think that you are winning!